The first is the possibility of a challenge to M.B.S.’s ascendancy. Deposing his cousin, Mohammed bin Nayef (M.B.N. ), as crown prince and placing him under house arrest, then freezing his personal bank accounts in November, were daring moves, even by the standards of Arab dynastic politics. As the former head of the Saudi secret intelligence service, M.B.N. could prove to be a dangerous enemy. Second, M.B.S.’s grand strategic reform plan — known as Vision 2030 — is a direct threat to the prestige and power of the established (and reactionary) Wahhabi clergy in Saudi Arabia. The clergy has the clout, and motive, to frustrate his plans. If the economy is opened up to private enterprise, the clergy’s wealth and influence will be diminished, leaving it with fewer resources to maintain its grip on the kingdom. For centuries, the royal family has relied on a pact with the Wahhabi clergy to provide religious legitimacy to the family’s rule. But if modernization erodes the clergy’s authority, how long will its members remain docile? Months before his ascendancy in June, M.B.S. signaled that the influence of the clergy could be an obstacle to economic growth and Saudi Arabia’s ability to wean itself off its oil-revenue dependency. If the clerics resist having their wings clipped, they are likely to openly oppose encroaching westernization just as Saudi Arabia seeks to attract and retain foreign investors. The royal family may therefore have to buy the clerics’ support, or at least their silence. For example, M.B.S. might offer them greater latitude in areas that are less crucial to the economy, such as “da’wah” — the spreading of Wahhabi Islam. Since 1973, the Saudi government and its semipublic “charitable” foundations have spent billions of dollars spreading fanatical Wahhabi ideology abroad, and further bolstering da’wah would be bad news for the international community’s anti-radicalization efforts. The Saudi clergy is powerful — a number of clerics have large social media followings, which provide a direct channel to supporters across the country. Clergy members who are agitating for a political backlash could use these platforms to criticize the aging King Salman, cast doubt on his right to rule and threaten M.B.S.’s modernization agenda. They could also ignite social unrest in a country that has a chronically high youth unemployment rate. In an effort to stifle dissent, M.B.S. in September cracked down and detained a few influential clerics who failed to support the kingdom’s position on Qatar. He went on in November, under the auspices of an anticorruption purge, to arrest more than 200 Saudi power brokers, including former government ministers, members of the royal family and wealthy magnates. The Wahhabis share a worldview with much of the complex network of Islamist and jihadist organizations around the world. Qatar and Turkey — supporters of the Muslim Brotherhood and the Taliban — will most likely use their connections to a belligerent Saudi clergy to frustrate M.B.S.’s agenda and tarnish his image abroad. In response, the Saudi leadership could seek a bigger external distraction by escalating its conflict with Qatar, just as it did with the invasion of Yemen in 2015. Already we are seeing Saudi politics being breathlessly stage-managed. On the same evening in November that M.B.S. began wielding the ax against his political rivals, Riyadh announced that a Yemeni missile was intercepted near its international airport, and the Lebanese prime minister, who happened to be visiting the kingdom, publicly resigned, citing security concerns about Iranian-backed Hezbollah. Since then, ripples continue to be felt across the region. The stakes are high. If M.B.S. succeeds in his modernization efforts, Saudis will benefit from new opportunities and freedoms, and the world will benefit from curtailing the Wahhabi radicalization agenda. A decade from now, the kingdom could look more like the United Arab Emirates, its prosperous and relatively forward-looking neighbor. If M.B.S. fails, Saudi Arabia will relapse into authoritarian theocracy, the tiny advances in women’s rights that have been made since the 1970s will be swept aside and the country will be set back, economically and socially, by decades. Worse, the kingdom’s money and influence will continue to be used to export the extremism that is causing so much upheaval in the rest of the Middle East, as well as in Africa, South Asia and Europe. Middle Eastern politics is regarded by nearly all players as a zero-sum game; to compromise is to bring shame upon one’s family and entire culture. Instead of acquiescing to the gulf states’ ultimatums — such as requiring that it shut down news organizations and distance itself from groups like the Muslim Brotherhood — Qatar has only deepened its alliances with Iran and Turkey. These forces are already in conflict in Yemen, in what is arguably a proxy war between the region’s Sunni bloc and Iran and its allies. The next obvious battleground will be Syria, where Iran (to say nothing of Russia) stands to be the principal beneficiary of the defeat of the Islamic State. Also in play in the year ahead will be Iraqi Kurdistan. In June, this all seemed like a minor spat between two Arab kingdoms. In 2018, it could spark a much larger conflict. 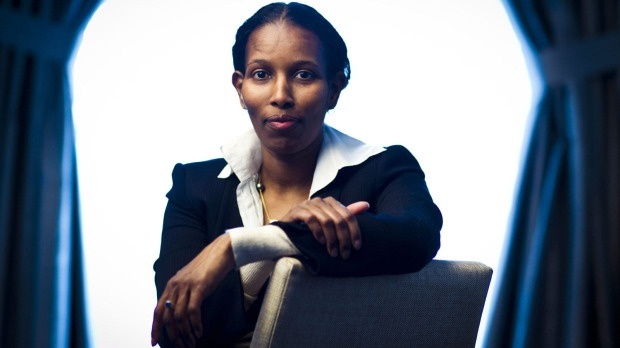 Ayaan Hirsi Ali is the founder of the AHA Foundation, an organization that is dedicated to protecting women's rights that are threatened by religious and cultural practices around the world. She's an incredibly powerful keynote speaker with an unprecedented amount of experience speaking about Islam in today's society, women's rights across the world, and much more. Learn more about Ayaan & inquire about her availablity.